The Dual Borg contains one Borg I (left side) and one Borg II (right side). These are two different filters, each with their own character. They do not sound the same nor react the same way to your inputs. 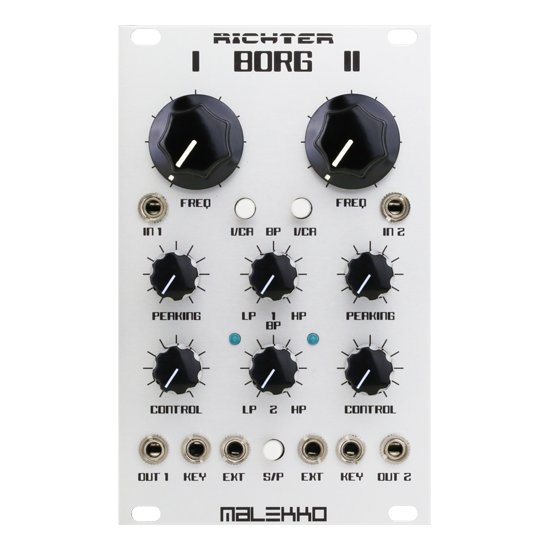 The Dual Borg is a versatile audio processor and the concept comes from a marriage of two divergent influences: the Buchla 292 Low Pass Gate and the Korg MS20 filter. Read more below! 16hp wide, 25mm deep, and consumes approximately 80mA power.